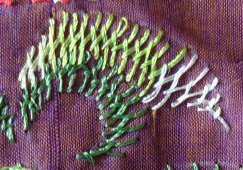 4-This row is worked in in closed feather stitch, then a variation of herringbone stitch and completed with small feather stitches. 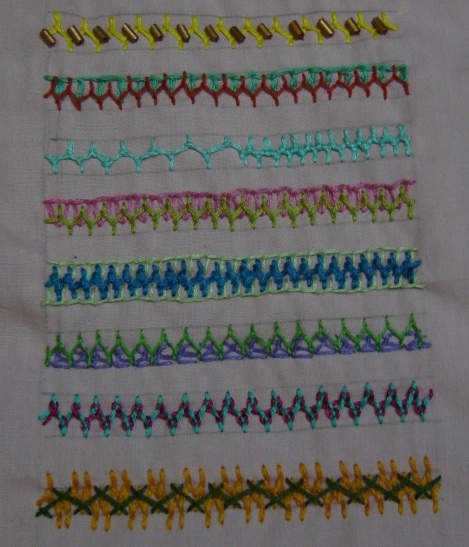 5a-I worked small fly stitches on the feather stitch line. 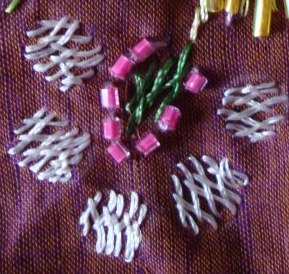 5b-This row is further embellished with red beads. 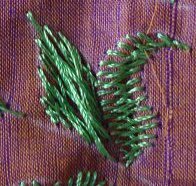 6-A variation of feather stitch is worked in violet and a combination of herringbone stitch and Cretan st is worked in between. 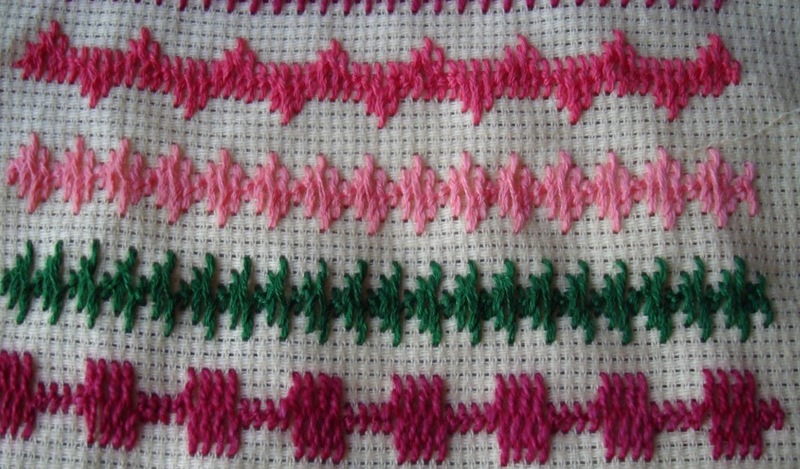 7a- A two step feather stitch is worked in this row. 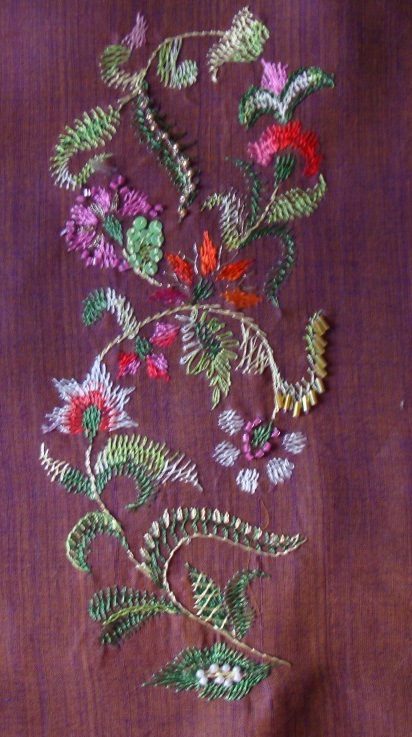 7b-Pink sequins are added as embellishment. 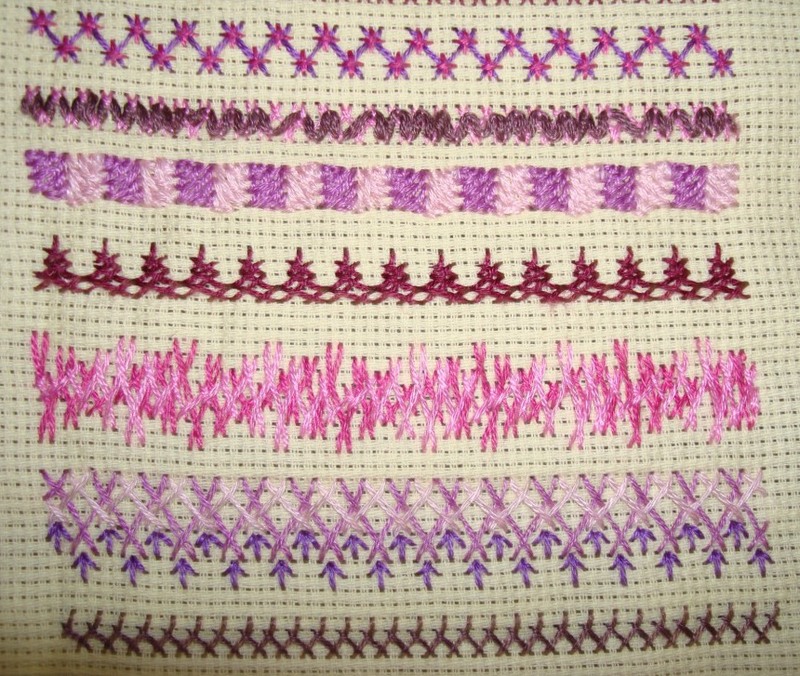 8a-I worked few feather stitches and cross stitches on this row. 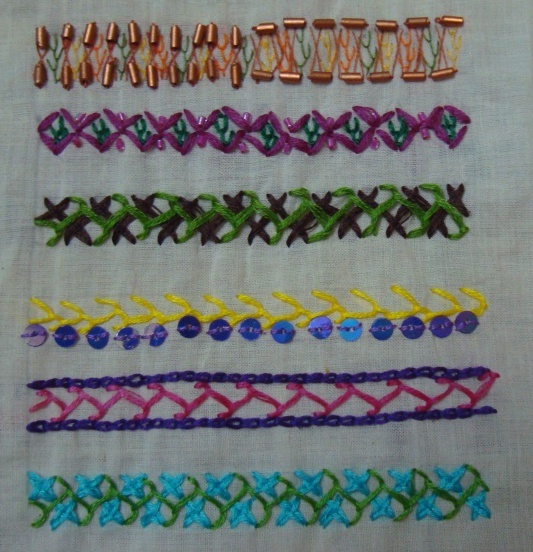 not too satisfied with the result. 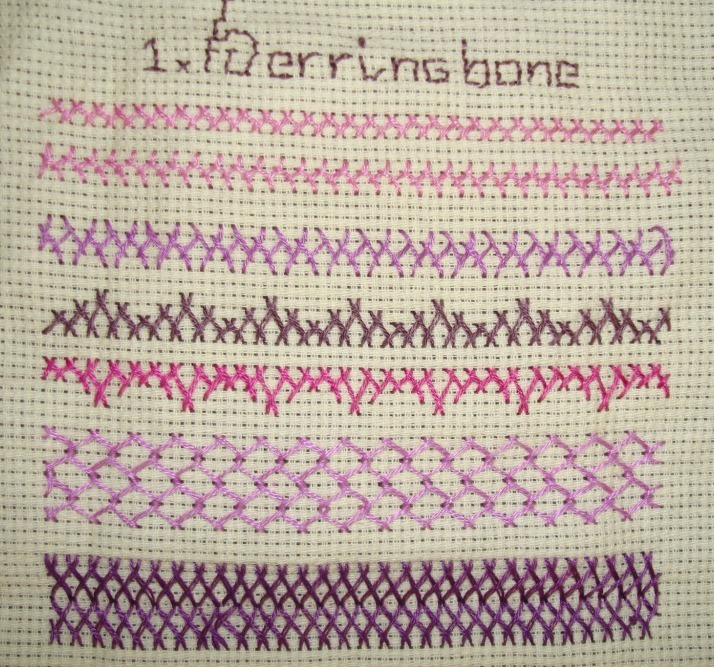 Got fed up and then moved on to the next row ! 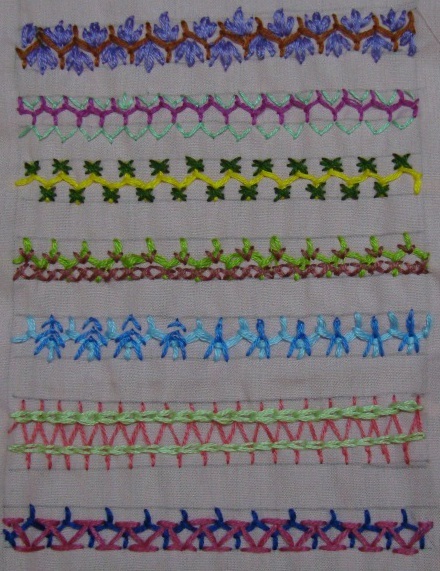 9a-Stitched feather stitches in the boxes made of double running stitch. 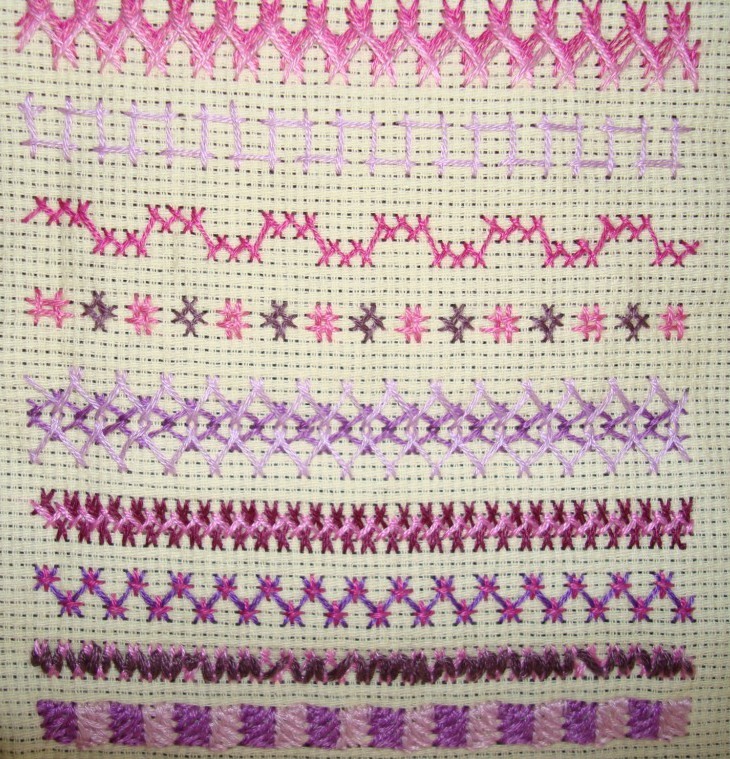 9b- added a few pink beads to this row. 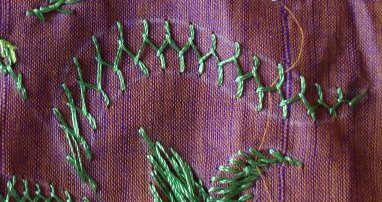 10- In this row, feather stitches are worked over a line of herringbone stitches. 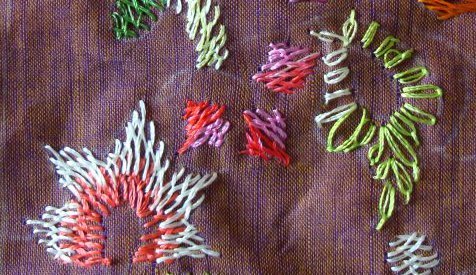 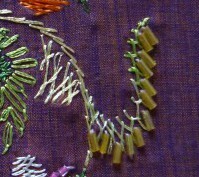 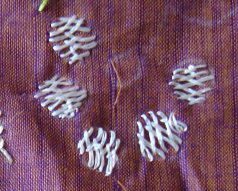 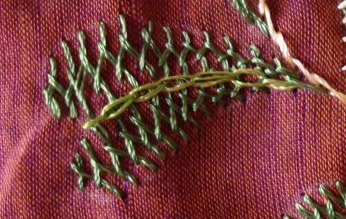 11b- sequins are added to this feather stitch row. 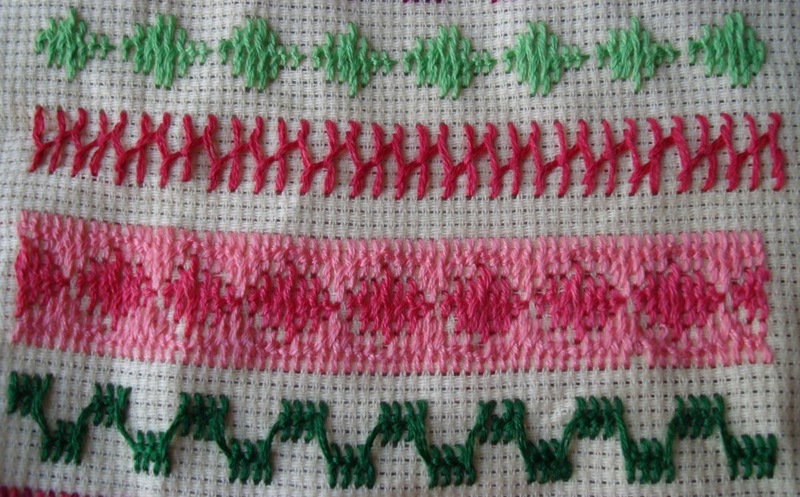 12- feather stitch is worked between two rows of chain stitches. 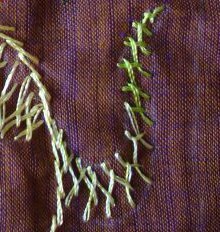 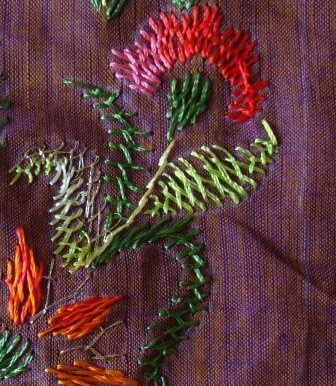 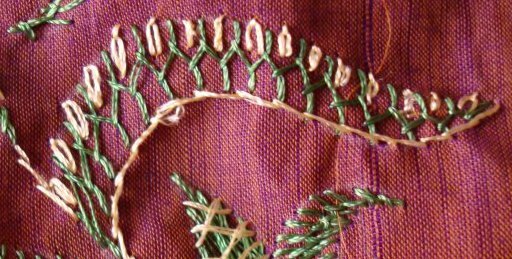 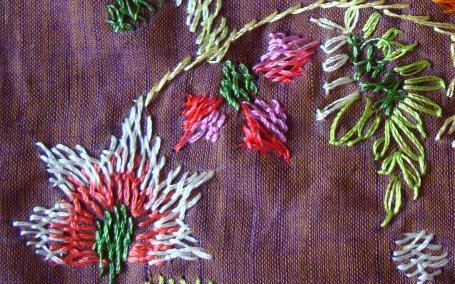 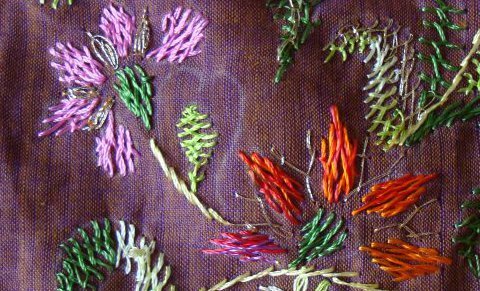 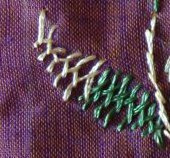 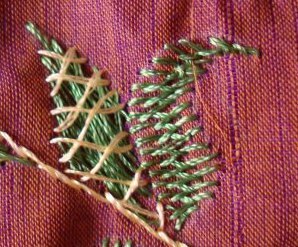 13-the feather stitch is worked with woven cross stitches. 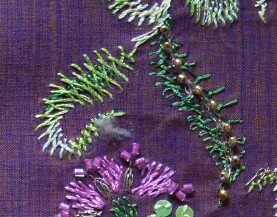 I have finished with the variations of this feather stitch. 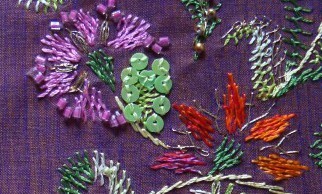 Thank you all for your kind comments on my earlier posts. 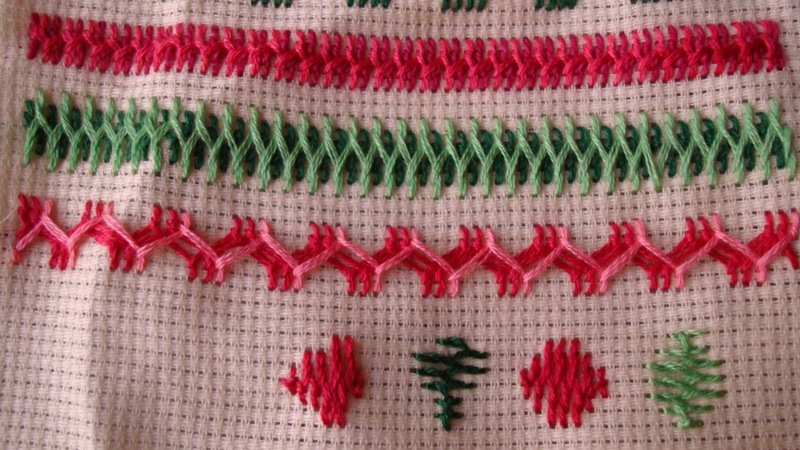 This row is a combination of closed feather stitch and open feather stitch. 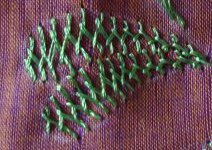 later a row of zigzag back stitch is worked over the closed feather stitch. 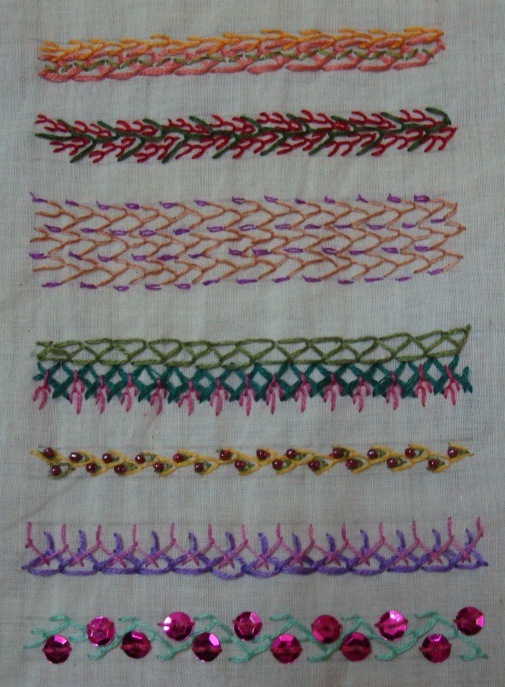 This row also the combination of feather stitches, one set worked inside the other. 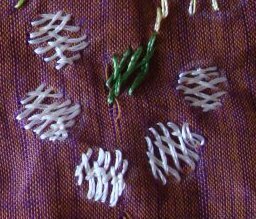 Let me see what tomorrow brings!